*Disclaimer: I received this wine as a sample from the PR folks for the brand. 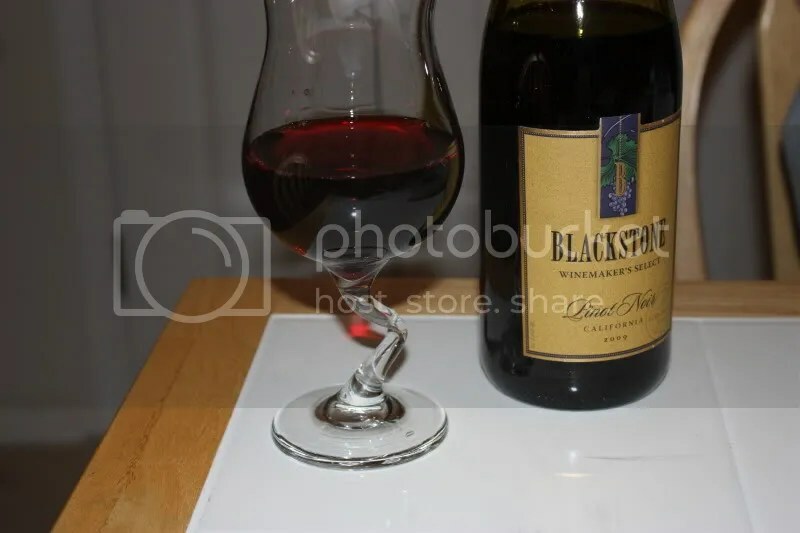 Tonight we tried the 2009 Blackstone Winemaker’s Select Pinot Noir. 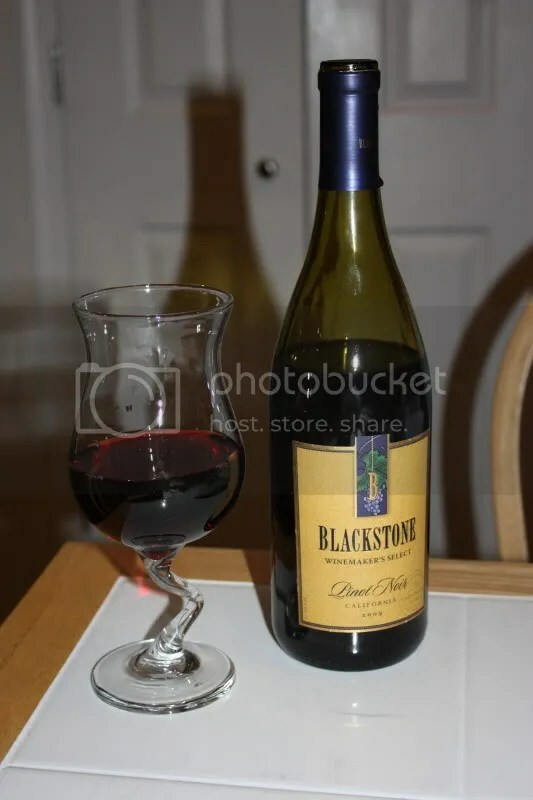 It had a plastic cork, clocked in at 13.5% alcohol by volume and retails for about $7-$8. 1.) A heavy hand with the oak on this wine made it sweet, oaky, vanilla-y and just over the top for me. 2.) I’m not having much luck locating the blend, but I imagine this has a good dose of perhaps Syrah in it? 4.) The wine is NMS. On the nose I got lots of oak and oak influence. Sweet vanilla, sweet oak, cream, sweet red fruit, and lots of chocolate cherry, raspberry and cola aromas. In the mouth I got more oak. Also some spices like nutmeg, more vanilla, and sweet red fruits. Here in California, it is easy to find Pinots under $20. It is hard to find anything GOOD less than $20!